3:1 Then he returned to the synagogue and there was a man with a paralyzed hand. 3:2 Those who wanted to accuse him scrutinized whether he would heal the man on the Sabbath. 3:4 Then he asked them, “Is it permitted to do good or to do harm on the Sabbath? To save life or to kill?” Yet they were silent. 3:5 After looking at them with indignation – grieving for the hardness of their hearts – he said to the man, “Stretch out your hand.” And the man stretched out his hand and his hand was restored – as healthy as the other. 3:6 Then the pharisees left and immediately made plans with Herod’s men about how they might ruin him. 3:7 But Jesus slipped away with his disciples to the sea – and great crowds from Galilee and Judaea followed him. 3:8 And great crowds came to him – from Jerusalem, Idumaea and beyond Jordan, and from Tyre and Sidon – for they heard about the great things he had done. 3:9 Then he requested from his disciples that a small boat waits for him because of the multitudes – to avoid their overcrowding him. 3:10 Because he had healed many – and many were sick – they were pressing up to touch him. 3:12 He immediately instructed them that they should not make this known. 3:13 Then he walked up a hill and called some and they came up to him. 3:15 and have the power to heal sicknesses and cast out demons. 3:17 and James the son of Zebedee, and John the brother of James, he renamed them Boanerges, which means ‘subjects of thunder. 3:19 And Judas Iscariot, who later gave him up. 3:20 Then he went home and the crowds formed again, preventing them from even eating a meal. 3:23 So he called them over and said to them, using an analogy, “How can the prince of wickedness cast out the prince of wickedness? 3:24 And if a kingdom is divided against itself – that kingdom will not survive. 3:25 And if a house is divided against itself – that house cannot survive. 3:26 And if the prince of wickedness rises up against himself and becomes divided, he cannot survive – but must be finished. 3:27 No one can enter into a strong man’s house and steal his stuff unless he first ties up the strong man – only then can he rob his house. 3:28 Truly I say to you, the servants of humanity shall be forgiven of their transgressions and whatever blasphemy they may utter. 3:31 Then his brothers and his mother came, and were standing outside. They sent word, asking to see him. 1. Verse 3:14. 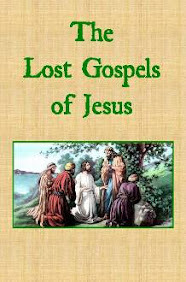 Luke 10 states there were a total of 72 disciples sent out to preach. 2. Verse 3:22. The Greek word Βεελζεβούλ (Beelzeboul) refers to an impure spirit – as is confirmed by Mark 3:30. 3. Verse 3:30. The Greek word πνεῦμα (pneuma) refers to a spirit entity that may possess a physical body. The teachings of Jesus taught that a body is occupied by a spirit-person, and within each body has expanded the Holy Spirit – who is able to provide guidance to the spirit-person. Because Jesus and his teachings were guided by the Holy Spirit, criticizing him as being an evil spirit would indicate they are blaspheming the Holy Spirit. The indication of the text is that the Holy Spirit is guiding Jesus and providing the ability to cast out demons.